A good friend of mine, Futurist and Safety Lead Engineer for NASA’s Orbital Debris Program Office, Dr John Bacon, has three words for this unusual tribe of color professionals when referring to Color Marketing Group members – “The Color Mafia”. 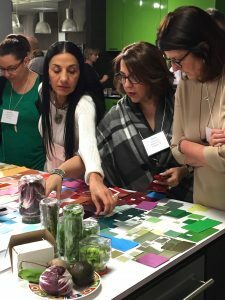 This international association of color design professionals gathers for annual Conferences and forecasting events in North and South America, Europe, and Asia … to come up with a palette of colors that forecasts trends for 2 to 5 years into the future. Designers, product developers, and trend forecasters travel from around the world, from industries as varied as Automotive, Cosmetics, Graphic Design, Paint, and Personal Electronics, to collaborate and discuss trends that will affect us all in the years to come. Before the annual Regional Conferences, members of this color tribe gather at regional ChromaZone® workshops where individual color predictions are compared, discussed, and distilled down into trend palettes. 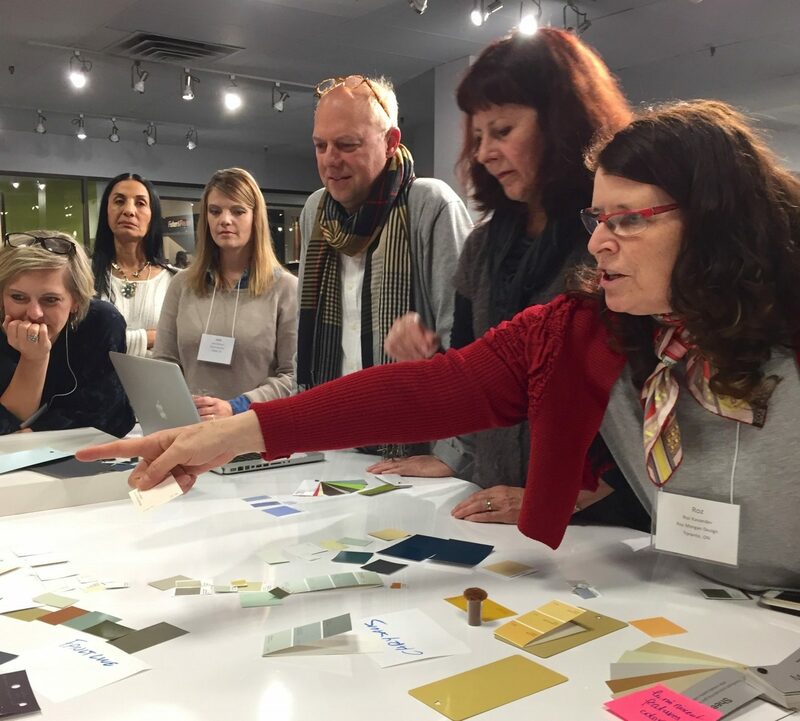 On May 11th, local designers and color professionals will have a chance to join with international color mavens in Boulder CO, to experience this process of color collaboration across industry borderlines. Anyone who has attended these ChromaZone Workshops knows that the special sauce is in the process…the intense conversations, the stories shared, and the products being developed, that come” out during this collaborative one-day process. One of the most famous members of CMG is Lee Eiseman, the executive director at Pantone Color Institute, and the person you’ve seen quoted annually as she announces the Color of the Year. Ms Eiseman was one of the first mentors that I met when I joined CMG. Over the years, I have become a CMG Chairholder and facilitator, while enjoying the friendship and mentorship of Eiseman and other design industry leaders. Now eQuilter.com, the company I co-founded, is hosting a ChromaZone® Color Forecasting Workshop, including a tour of our warehouse full of 16,000 fabrics, which is not open to the public. eQuilter is based in Gunbarrel, with a 15,000 sq ft space full of almost limitless color and design inspiration. Having worked in the garment and textile design industries since 1980 Color Marketing Group® workshops give me a huge advantage over our competitors, and it’s a unique opportunity to experience the ground floor color forecasting process exclusive to Color Marketing Group®. For more information and registration visit CMG’s website, or contact eQuilter.com at 303-527-0856.